On a legendary crusade of children led by a 12-year-old shepherd through France in the thirteenth century, a poor girl educated by a village priest meets up with an orphan boy of prodigious intelligence and unusual education. They lose their innocence during the terrible expedition, but the wisdom they gain eventually leads them on a more meaningful journey. Based on historical accounts of a children’s crusade in 1212, the story tells of adventures and tragedies, faith and hypocrisy, the danger of extremism and the power of love. The subject of the Crusades is currently experiencing a resurgence of interest. There are books, movies, and even a new opera about the dramatic surge of knights across Europe. But few people have heard of the Children’s Crusades of 1212, two separate pilgrimages led by 12 year old boys, followed by thousands of youngsters, with few adults to guide or protect them. 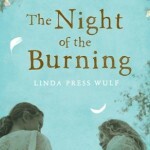 Linda Press Wulf, whose first work of historical fiction for young readers garnered awards and glowing reviews, has woven from this fascinating episode in history a tale that touches on a major contemporary concern – the actions of those who love their god in extreme ways. Travelling the roads of medieval France with Robert the Rope and Georgette of Illiers, the story’s equally strong male and female protagonists, readers will be introduced to the Poor of Lyon, a group that pre-dated Luther’s Reformation by three centuries, and to the newly formed University of Paris and the half-built structure of Notre Dame Cathedral. 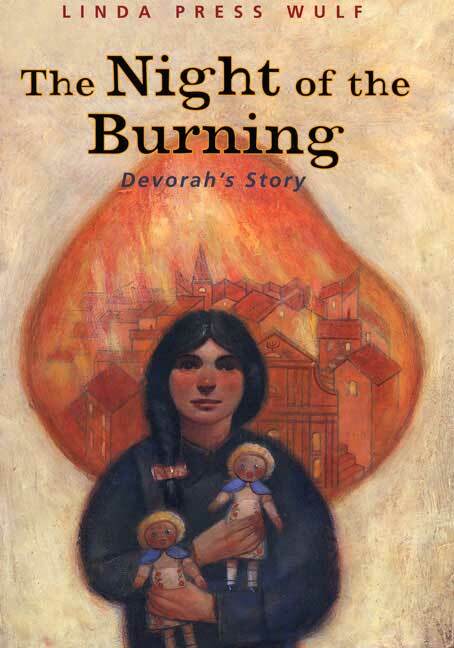 Devorah’s world is shattered by the tragedies of post-Great War Europe: gas poisoning, famine, typhoid, and influenza. Then comes the Night of the Burning, when Cossacks provoke Christian Poles to attack their Jewish neighbors. In 1920, eleven-year-old Devorah and her little sister, Nechama, are the sole survivors of their community. Salvation arrives in the unlikely form of a South African philanthropist named Isaac Ochberg, who invited Devorah and Nechama to join his group of two hundred orphans in their journey to safety in South Africa. Although reluctant to leave her homeland, and afraid to forget her family, Devorah has no option but to join her sister, who insists on going to the new country. There Devorah is dealt the greatest blow — Nechama is adopted and taken away from her. In the end, though, Devorah realizes that she is not solely responsible for keeping the past alive, and that she will not betray her beloved parents when she is adopted herself — and finds happiness again. “With bittersweet overtones, it reminds the reader of human savagery yet also shows the caring strength of one man and the power of sisterly ties.” —selected and reviewed by Lesley Agnew, leading independent bookseller, for “Teenage Previews for March-June,” The Bookseller, U.K.
I’ll will be posting information on my current project soon. Thanks for your interest.